What in the World? : Does Canada need an Office of Religious Freedom? Does Canada need an Office of Religious Freedom? The proposal by the Canadian government to establish an Office of Religious Freedom is politically motivated. It fulfills a promise made in the 2011 federal election. The Conservatives won this election handily, in part by attracting votes in many ethnic communities, especially in Greater Toronto Area, which according to the United Nations is the most cosmopolitan urban area in the world. 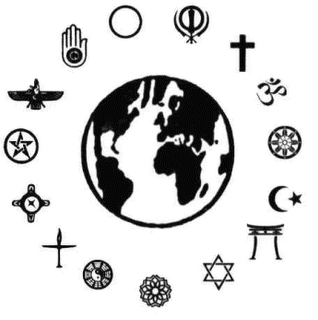 Nearly every nation and language on earth is represented here, as are most religions. This forms part of the context in which this proposal was made. Does Canada really need an Office of Religious Freedom, or is it largely a political ploy, as is my impression? The Conservatives needed the support of various ethnic groups, which represent many different religions, in order to win the election: Christians, Jews, Muslims, Hindus, and Buddhists, are only a few of them. The most important of these religious groups, although not identifiable as a single ethnic category, were evangelical Christians. 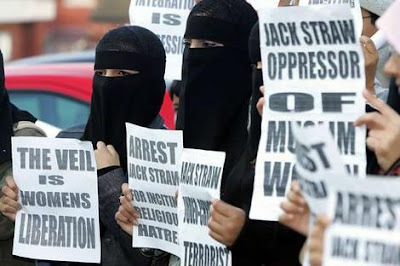 They tend to vote Conservative, are well organized, and have been persecuted in many different countries, especially during the last few years. 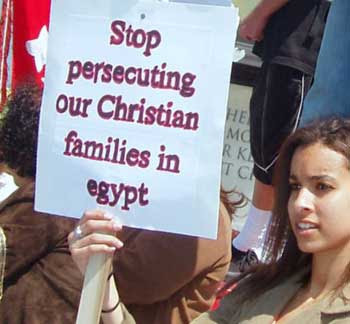 In fact, Christians are persecuted more than any other religious group today. There are many reasons for this. There are also many organizations, such as Freedom House, that keep careful track of instances of the persecution of Christians. Many Christians certainly support the creation of an Office of Religious Freedom. The Conservatives also attracted the Jewish vote through their unqualified support for the State of Israel. Canada is now one of Israel's most faithful friends and supporters. The existence of the State of Israel is rooted in the Holocaust. Canadian Jews do not want a repetition of this, very understandably, and thus they too would support such an office. Both Christians and Jews are somewhat ambivalent in their attitude to Muslims, however. The Palestinian cause is hardly popular among many of them, and Muslims are often viewed as terrorists. Both have for centuries been persecuted for various reasons, but they are often unwilling to extend protection to Muslims. 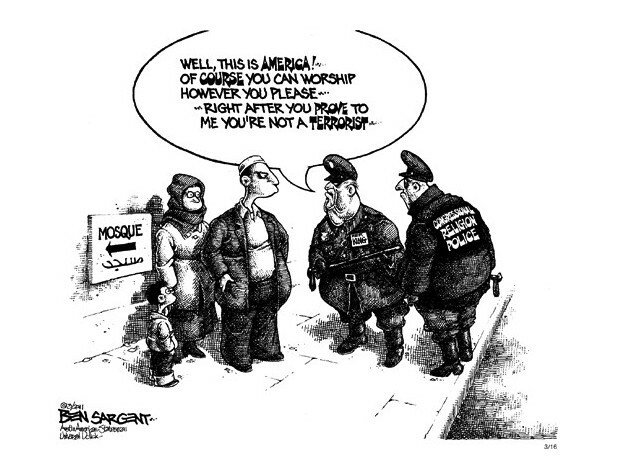 Muslims too need the protection of an Office of Religious Freedom. They have been vilified and demonized more than any other religious group, especially since 9/11. But will they get that protection this way? In a year-end interview, Foreign Affairs Minister John Baird denies that his department’s new Office of Religious Freedom will become a vehicle for playing domestic politics in Canada’s immigrant communities. He also dismissed criticism that the new office could lead to an uncomfortable mix of religion and politics. “Freedom of religion is one of the first things in the (Canadian) Charter, it’s one of the first things in the (Canadian) Bill of Rights, it’s front and centre in the UN Declaration of Human Rights -- it’s an essential human right; I don’t see any concern about that at all,” the minister explained. Baird has high hopes for the new office, even though it will come with a modest $5-million price tag. That includes a minuscule $500,000 budget for operations, so it won’t be a major drag on already thin resources for a government, like governments elsewhere, that is currently focussed on reducing the deficit. But this office may not have the positive benefit the government is looking for. Alex Neve, the head of Amnesty International Canada, says that while religious persecution “is a serious human rights concern right around the world,” he is not confident about the government’s approach to the new office. Religious freedom can have a “contentious relationship” with other crucial human-rights concerns such as women’s equality, the equality rights of gays and lesbians, and freedom of expression, he explains. The various human rights must be interpreted so that religious freedom and women's rights are both given their proper due. Communal and individual rights must be carefully balanced. In addition, for years I have reminded my students that rights are not absolute, but carry with them duties as well that can restrict these rights out of respect for others. There are other problems as well. The governments needs to be careful that it does not -- either intentionally or unintentionally -- convey a message that some religions are preferred over others. 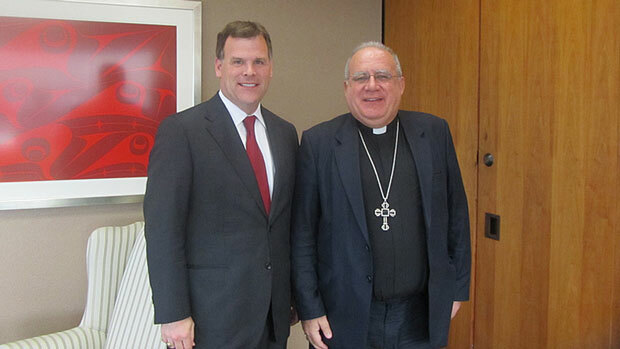 The consultations that Baird organized with religious groups in October seem to indicate otherwise. These consultations were not open to the public. Amnesty International and other rights groups were excluded, but more crucially, so were many religious groups. Panellists invited to closed-door consultations on the new Office of Religious Freedom were drawn almost exclusively from western religions, primarily Christianity. Six official panelists were invited to help lay out parameters for the proposed office during a half-day meeting with the minister. Thomas Farr, first director of the U.S. Office of International Religious Freedom. Father Raymond De Souza, Roman Catholic priest and columnist. Anne Brandner of the Global Peace Initiative and formerly of the Evangelical Fellowship of Canada. Don Hutchinson, vice-president with the Evangelical Fellowship of Canada. Frank Dimant, CEO of B'nai Brith Canada. Susanne Tamas of the Baha'i Community of Canada. Islam was not represented on the panel, nor were the major Eastern religions, all of which have suffered religious persecution: Hinduism, Sikhism, Taoism, Buddhism, and others. The choice of panelists completely ignored the Canadian reality of multiculturalism, which is different from the American situation. Pressed on what exactly the office will do, Baird replied in the interview: “It will be promoting religious freedom.” He said it would involve “persuasion, lobbying, putting light ... promoting.” The Tories note that the concept of such an office is not entirely new. They point to the fact the U.S. State Department has its own religious freedom office that was created in the late 1990s under the administration of Bill Clinton. There are three priority areas for the new office: protecting and advocating on behalf of religious minorities under threat: opposing religious hatred and intolerance; and promoting the Canadian values of pluralism and tolerance abroad. As the Tories mull their final roll out for the new office, religious violence is sparking the usual time-honoured response of Canadian governments, whether Liberal or Conservative: a written denunciation in the minister’s name condemning the perpetrators and an expression of solidarity for the victims. The Conservatives are unapologetic about making a defense of the right to worship a central objective of Canadian foreign policy, noting, as a recent Pew Center study found, that assaults around the world on religious freedom have increased in recent years. This stance is in response in part to some bureaucrats in the Department of Foreign Affairs who, because of their belief in the separation of church and state, have tended to ignore the issue of religious freedom. The Tories explain that it was a charismatic Pakistani foe of religious persecution who helped clinch their decision to create the office. 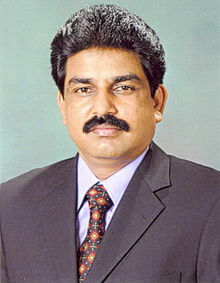 Shahbaz Bhatti had visited with Prime Minister Stephen Harper only weeks before he was shot dead in Islamabad. A Catholic, he was the first Pakistan minister for minority affairs and the only Christian serving in the Islamic state’s cabinet when he died on March 2, 2011. A militant Islamist group claimed responsibility for killing Bhatti, who had been urging reform of that country's blasphemy laws. Immigration Minister Jason Kenney, who’s also the party’s point man for outreach to new Canadian voters, said Bhatti made a major impression on Harper when they met in early February, 2011. “The Prime Minister was deeply affected by this as was everyone who had the chance to meet him,” the minister said. “His visit to Canada shortly before his assassination helped to galvanize within the government the reality of this kind of persecution.” Kenny said he counselled Bhatti against returning home -- to no avail. Former Liberal leader Michael Ignatieff, for one, offers qualified support for the new office. He said it can “turn a Canadian spotlight on people in danger” and can provide the persecuted “with the protection of visibility and concern.” But he adds it should not become be a tool for pressure groups the Tories hope to appease in Canada. He advises that the office defend all cases of religious persecution, not just those that are bothering domestic constituencies at home, and that it does not ignore other human-rights violations, which usually accompany religious persecution, like limits on freedom of the press, denial of democratic rights and persecution. The American office once headed by Farr has been criticized from several quarters, including from within the US State Department, for being Christian-centric, and primarily dedicated to protecting and promoting Christianity overseas. They contend that US officials tend to recognize and emphasize violations of the rights of Christian minorities and Christian evangelical groups to proselytize, rather than using the term "religious freedom" to cover the religious freedom of all communities. In other words, in the US not all religions are equal and not all enjoy the same rights. The Conservatives responded by saying that the office will take a multi-faith focus that is representative of Canada. Whether they will or not is debatable, especially if the October panel is any indication. There is too much about the proposed Office of Religious Freedom that smacks of politics. If this office does succeed in defending religious freedom for all religious groups and not just some of them, and if it can untangle the various human rights that are implicated in issues of religious freedom, then it may yet prove to be a blessing for everyone, and not just a cheap ploy to buy votes from strategic religious communities. 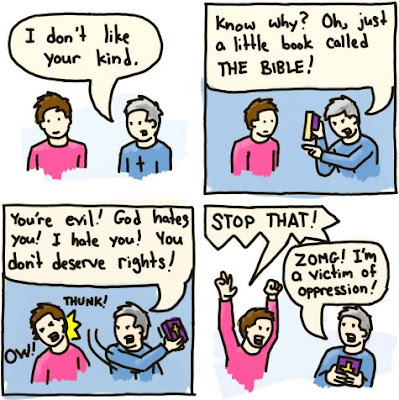 In the previous post, it was obvious how complex the issue of religious freedom is. When politics is added to this already potent brew, the mixture becomes potentially explosive. Thus the government should be very careful in what it does with the new Office of Religious Freedom. It is a good idea, but it can be abused in many ways. No one who is serious about religious freedom wants that to happen. I don't want Christians to hijack the very important issue of religious freedom. It does not belong to any one religious group. 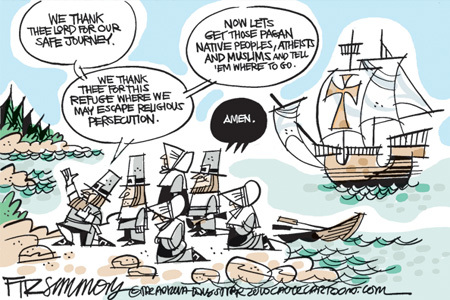 If it did, religious freedom would be a contradiction in terms. All religions must enjoy the same rights, if this term is to have any meaning whatsoever. Religious freedom belongs to all of us or to none. Thanks for sharing above information... I & my friends are very impressed with this blog... Hope for more updates soon. Astro guru provides travel astrology predictions online. You can have a look on astrology site. I would be waiting for your valuable response. Thanks in advance. This illustrated blog discusses what is happening in the world today, especially if it involves religion. After a long period of being dismissed from discussion in the public square, religion is once again openly talked about because of increased recognition of its role in the world today. This change is evident in the light of new developments in the Middle East and North Africa. Allow me to introduce myself. I received a Th.M. from Calvin Theological Seminary and a Ph.D. from St. Michael's College at the University of Toronto. For almost forty years I taught philosophy and theology in many countries, primarily the Philippines, Russia, and Nigeria. For most of the year I live in Toronto, together with my wife, Wendy, who also lectures in philosophy and theology. We have three adult children: a daughter living in Toronto; a son also living in Toronto, who has a son; and another daughter, who has four children, living near Boston. Global warming: Will my grandchildren have to pay for it? The churches of Turkey: Where are they?